Intergroup – April 2010 – Lincoln Nebraska A.A.
Albert S. (29) – $175.48 is ending balance. Workshop was a good turnout! Thanks to Craig and Laurie for speaking. Central Office Committee: Jim C. -All is good! 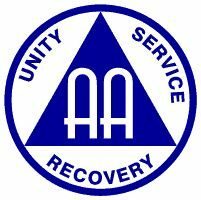 Lincoln AA Corrections Committee: Ron R. – Important notes, City County Jails new policy for AA volunteers working with the inmates outside the facility was announced in April. See web and or Joe Goecke for more info on this matter. Website Committee: Ron E. – Soberokee wants to be posted on website, but was redirected to look at AA guidelines as far as what’s allowed to post on site. Special Events Committee: Matt C. $764.73 balance. Flyers for the 4th of July picnic are out. Chris S. will be our speaker. Looking for helping hands that are available for the 4th of July picnic. Hotline chair still looking for anyone wanting service position. Tom – Sign language interpreter for meetings was brought to attention. Cost for service/funding for service were the main discussions. 3 groups are now providing services once or twice a month. Looking for anyone within AA that can sign, maybe a solution. Rainbow Group is asking if changes could be made to the meeting list for the handicap accessible, it was mentioned that it’s not well noted on the list. Meeting closed @ 7:20 PM, and we all gathered for the Serenity Prayer. On to May! The next meeting is May 28th @ 6:30 @ Willard Community Center-1245 S. Folsom St.